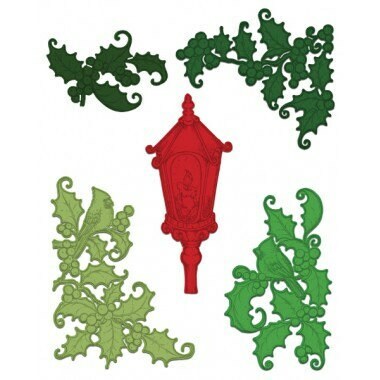 Give your “holly-day” paper crafting projects a traditional and old fashioned feel this Yuletide season with a beautiful assortment of holly and berry clusters and candelabra die cuts! When paired with the beautiful illustrations within the coordinating cling stamp set it becomes easy to layer and add dimension to all of your handmade cards, scrapbook layouts and altered art pieces! The perfect foliage embellishments to add along with any handmade florals or accents from previous holiday or winter themed collections! 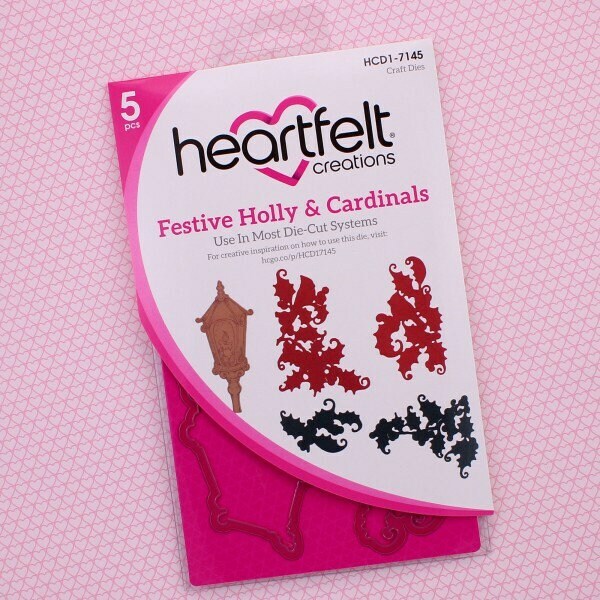 These dies are part of the Festive Holly Collection and pair with the Festive Holly & Cardinals Cling Stamp Set.